Durban - You could sense some people in the room wincing when Sharks coach Robert du Preez was asked the questions after this team’s narrow 19-16 defeat to the Bulls at King’s Park on Saturday. The first focused on whether, given that his son, Robert du Preez , was missing his place-kicks, Curwin Bosch shouldn’t have been handed those duties when he came onto the field late in the game as a replacement. The second was more direct and perhaps more pertinent - will Bosch be considered as the flyhalf going forward. Du Preez responded well to both questions, and said that all options would be considered for the next game, and changes would be on the table if deemed necessary. Normally of course this line of questioning and answering would be seen as run-of-the-mill, the expected questions and answers. But there has always been an additional angle brought to the Bosch versus Du Preez debate by the fact that Du Preez is the coach’s son. Bosch hasn’t had a look in at pivot at Super Rugby level since Du Preez moved from Cape Town to Durban at the end of 2017. To be fair, Bosch was going to start against the Sunwolves had he not been injured for the trip to Singapore. And he did miss some of the subsequent games because of injury too. There is also the million dollar question that is always angled at Bosch - is he brave enough, will he ever properly sort out his defensive vulnerabilities. The answer to that can only come from Bosch himself, but if you watch the Rebels play you’ll get alerted to a way to get around Bosch’s defensive frailties. On opposition ball, Rebels flyhalf Quade Cooper is never standing in the flyhalf channel, he’s out on the wing. It was a ploy used with Bosch in the past, and in fact Robert du Preez was hidden in the same way when he played age-group rugby in Durban, before his defence improved. Du Preez’s defence has improved, but the Jesse Kriel try against the Sharks was sourced in Du Preez defensive blunder. It was just one of many mistakes he made on the day, and the time has arrived where many Sharks fans are starting to ask whether Bosch’s supposed defensive weaknesses are so relevant when balanced up against the clear need for the addition of some attacking X-factor and attacking unpredictability. Most opposing coaches will admit they are secretly pleased that Bosch is kept away from the No 10 jersey when they go to Durban. You can understand the Sharks intent - Du Preez is a big flyhalf, Andre Esterhuizen is a sizeable piece of meat at inside centre too. Get forward ascendancy and then bash it up seems to be a reasonable objective No 1. Except that is overdone and it has moved the Sharks away from what used to be their supposed DNA, meaning a running game. They do have pace to burn out wide, and the Bulls arrived in Durban carrying question marks over the defensive capabilities of their back three, who were exposed by the Chiefs. The Sharks though lacked the wherewithal to properly probe those areas like the Chiefs did. It might require a lot more than just one change in personnel to make the difference that is required, but selecting Bosch, and giving him a proper extended run in the position, might be the key to unlocking what is not working for the Sharks and what is making them way too predictable currently. There is a lot of emphasis at the Sharks on getting physical ascendancy but Saturday’s game provided evidence that sometimes that isn’t enough. There needs to be more innovation and perhaps most importantly more X-factor in the key decision making positions. Bosch can bring that X-factor. At least Du Preez at this point has the choice of choosing Bosch after the SANZAAR disciplinary committee gave Akker van der Merwe a three-week ban for punching a prone Schalk Brits. With the capable Franco Marais having left for overseas and Chiliboy Ralepelle still out, the Sharks have a huge hole to fill. 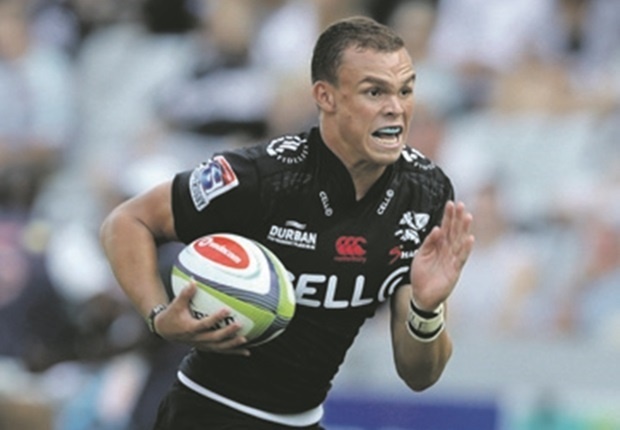 Veteran Craig Burden is experienced and is back from a five year sojourn in France, but he was never really the first choice for the Sharks in Super Rugby when he was in his pomp - Bismarck du Plessis and John Smit were - and appears to be struggling with injury problems. Two weeks in succession he has been selected to play off the bench and then been forced out after being injured in training. Du Preez has very right to be livid with Van der Merwe, as his actions at King’s Park have left the coach in a right pickle. Du Preez rightly lamented the errors which cost his team. “We did everything to win the game, but didn’t,” said the coach. A little bit more X-factor applied on attack might have made those mistakes less crucial, for Du Preez is right - the Sharks did play most of the game with a surfeit of possession and in the right areas of the field. And they were up against a Bulls team that was pretty abject on the day and clearly still feeling the effects of their morale-destroying mauling at the hands of the Chiefs.